Tuesday, 19 September 2017, marked the official opening of the 2017/18 academic year at the Centre for Advanced Study (CAS), the centre's 25th anniversary. Bears, bacteria, and blueberries are some of the topics on the agenda as the Centre for Advanced Study (CAS) invites you to a ‘Researcher Relay Race’ at Kulturhuset on Thursday, 21 September, at 18:00. Today nearly everyone walks around with a device capable of translating the world’s major languages. 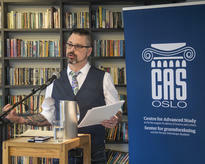 But where some see opportunity, Dag Trygve Truslew Haug and Stephan Oepen, professors of classics and informatics, respectively, at the University of Oslo, see limitations. 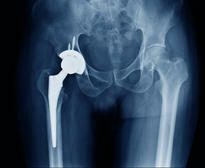 According to the YoungCAS researchers, the future risk of infection in implants may be too high for some surgical procedures to be carried out, but they also believe there is a better solution. How can you and I prevent antibiotic resistance? – It is not like a disease, such as Ebola or swine influenza virus (SIV), but antibiotic resistant bacteria are spreading around the world like an invisible pandemic; it will cause big problems the day they make us sick and we do not have antibiotics that work. In this talk, philosopher Levi R. Bryant talks about the history of speculative realism and object-oriented ontology. He then moves into a brief discussion of Graham Harman’s object-oriented philosophy, and an alternative vision he would like to propose. In autumn 1944, Norddal, in the north of Troms County, was occupied by German army forces in retreat. They had brought with them an unknown number of Soviet prisoners, who were distributed among four prisoner-of-war (POW) camps. When the war ended, the camps were abandoned and their stories almost lost in time.